Whether its leafy greens or fluffy rolls, this serving bowl lets you serve your dinner guests in style. Its white melamine design is accented by an elaborate display of indigo and light blue medallions. Whether its fluffy rolls or tasty salad, this exquisite melamine bowl serves up in style. An exquisite medallion pattern spreads out from its center in a rich light and dark turquoise hue. 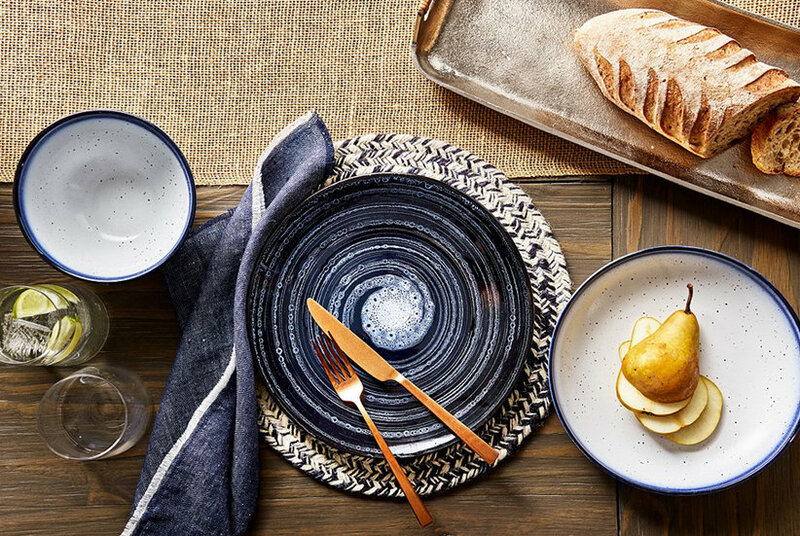 This all-melamine collection lets you dine outdoors all summer long. Each piece bears the beautiful appearance of hand-painted and glazed Italian country ceramics, but is completely unbreakable. Clean and modern with a slightly textured circular pattern and pleated border, this substantial melamine serving bowl is the epitome of easy chic. Blooming with a bright surprise inside the rim, the sleek shape of Vera Bradley's Coral Floral melamine serving bowl suits outdoor or indoor meals.